It may or may not be news to you that the reason that I got into blogging was because of Fashion Bloggers. 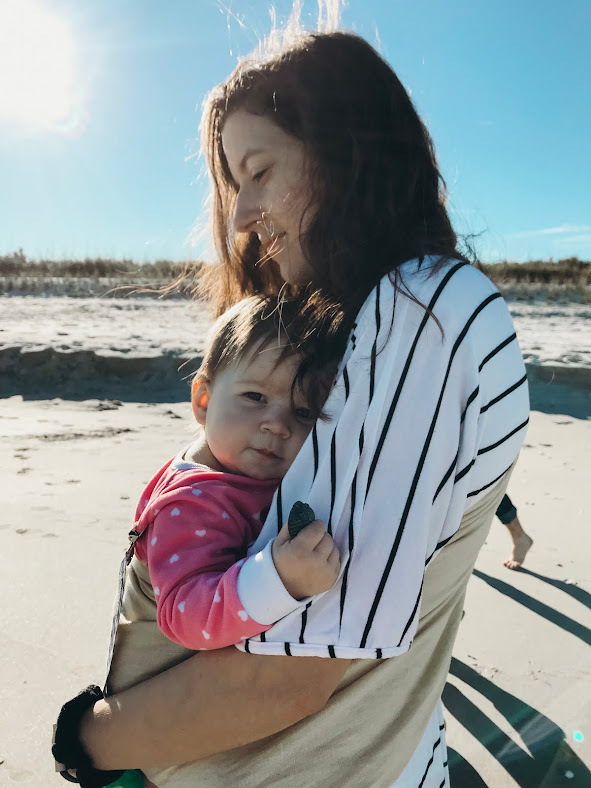 I dove head first into the fashion blogging world about 6 months before I started this blog and I started it with the intent of becoming a fashion blogger, a modest fashion blogger. It didn't seem like it would be that hard, especially since all of the fashion bloggers that I was following at the time were LDS, just like me, and posted modest fashion. I loved the idea that I could be into fashion and be modest. However, it was hard for me to see these same bloggers wear outfits that didn't seem to mesh with my idea of modesty. I'd always been taught that to me modest skirts and shorts needed to be knee length or longer and shirts needed to cover the chest and have sleeves, cap sleeves at the very least. This spun me into a whole spiral of judgment and years of wondering what exactly it meant to be modest. After all, these women were people who were part of my faith, people who had gone through the temple just like I had and wore garments just like me. However, it seemed like they still found ways to wear shorts that seemed too short or skirts that reached mid-thigh, or they'd wear tank tops. I had a really hard time not judging them. The main reason that I judged them and had such a hard time with it was that I wanted to wear those outfits too, but I wanted to wear them and not feel guilty, and I knew I couldn't personally do that. Modesty has always seemed so subjective to me. Especially as the ideas and standards of "modest" dress have changed over time from being covered ankle to wrist to what we wear today. I wanted to know why I couldn't wear tank tops in the summer. I wanted to know why my shorts had to be so long. Just what was so wrong with my stomach? Especially when there seem to be all these exceptions to the rules; you can wear tank top straps, provided you're wearing a swimming suit! You can show off your tummy when you're pregnant! Feel free to wear those short shorts when you're working out! And hey, you can probably wear a tank top then too, maybe even just a sports bra and bottoms! Especially if you are on vacation, it seems the rule is that you can wear whatever you want. Yet, I have stuck to what I've been taught. Faking it until I made it sort of thing. It's been years and years of faking it and constantly wondering if I was measuring up to the standards that I should. I've had a love-hate relationship with garments. Garments are special underclothes that you receive once you go through the temple. It's something that you have to prepare for and make commitments to do. An "outward symbol of an inner commitment". I loved that once I got garments I felt like I could definitively say whether or not I was being modest, because if my garments were covered, then I was, and if they weren't then I wasn't. I hated them because they made me feel fat and seemed unflattering. I disliked that I had a whole extra layer to wear in the summer when it was hottest. Yet, it wasn't until I had a baby that they changed my whole mindset about what they were for and what modesty really meant for me. Up until that point, I'd been using them as a modesty ruler, a hard line between what I could and should wear and what I couldn't or shouldn't wear. After I got nursing garments though, I found that line of thinking wasn't going to work for me anymore. They were designed to make it easy to nurse, not to enforce modesty. I had to once again decide for myself what modesty really was. It really shifted my whole line of thinking. Instead of wondering whether or not my garments were covered, I was thinking about whether or not I was modest. I asked myself why I even thought about it. What was the purpose of modesty? Growing up I was taught that it was mainly to help protect men against bad thoughts, yet I've come to realize that what other people do and how they think, is not up to me. It is not my responsibility to keep their minds clean, especially considering that what is provocative to one, isn't to another. I'd just had a baby. My body had done this incredible thing. It had made a human. It had brought that baby into the world (which is kind of traumatic on a body). It had mostly recovered from that. It had fed and housed that baby and was continuing to feed it. It has taken relatively amazing care of me all twenty some odd years of my life. Suddenly, modesty wasn't about protecting someone else, it was about being grateful for what I had. I decided that I wanted to be modest for me. I wanted to show my Heavenly Father what this body means to me. It isn't about toeing some line, modesty was meant for me, not for other people. All of this changed not only how I saw myself, but how I saw others. It allowed me to let go of that resentment that I'd felt toward these people who chose a different standard than me. They aren't accountable to me, nor should they be. Today, modesty for me isn't about how much skin I am or am not showing. If I want to know whether or not I'm being modest, I just ask myself whether or not I would feel comfortable in front of my creator. I no longer worry about whether or not other people are being modest, because it's about so much more than clothes and I really don't know them. 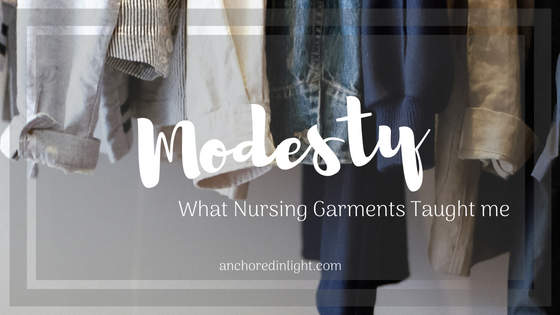 What does modesty mean to you? My name is Rachael. I'm happily married to my sweet Captain and mother to Everly. Optimisitcally looking toward the future. Sharing my love of adventure, Faith, books, and putting more beautiful things into the world. Thanks for reading! Feel free to stay awhile and drop me a line.